Clerodendrum, a flowering plant, belongs to family Lamiaceae. 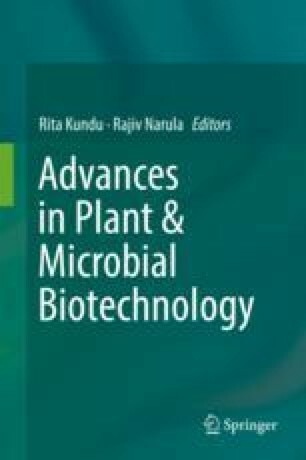 The aim of present study was to analyse phytochemicals from the leaves of healthy and viral symptomatic C. inerme plants. Leaves having chlorotic spots, yellow-green patches, leaves curling, etc. were due to virus infection as seen in electron microscopy. Extraction was done using solvents chloroform, acetone, methanol, ethanol and water. For analysis of phytochemicals, each extract was subjected to qualitative test for identification of various constituents like alkaloids, steroids, flavonoids, coumarins, quinones, flavanones, terpenoids, tannins and phenolic compounds and proteins. After analysing all constituents, it has been confirmed that symptomatic leaves of C. inerme have less amount of phytochemicals as compared to healthy leaves of C. inerme. The major purpose of this study was to make a comparative account of the phytochemical constituents of healthy and symptomatic Clerodendrum inerme.